We thank Rodan Builders for their most generous support of Lazarex Cancer Foundation. Rodan Builders specializes in commercial, industrial, and institutional tenant improvements, new construction and overall modernizations. We are able to bid on projects up to $50 million with an aggregate of $80 million per year. We offer the flexibility of a small company but the talent and service of a large company. Our passion is people and it shows every time you step into our office or come to our project, we build to improve people’s lives. The Rodan Family – Loving your job, feeling happy, but still challenged at work is the essence of career fulfillment. 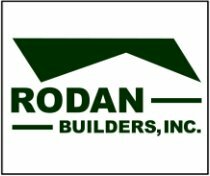 Getting opportunities to learn, grow, and being recognized for your contributions, are attributes of being an employee of Rodan Builders.